When Google Drive stops working, how are you supposed to tell if it's down or everyone, or if it's just you? What seems like a Google Drive outage could actually be a problem with your computer or internet, your Google Drive app, or even your Google account. While it may be tough to figure out exactly why Google Drive isn't working, there are a few ways to determine pretty quickly if it's down for everyone, or if the problem is on your end somewhere. For more help in figuring out if Google Drive is down for everyone, or if there might be some kind of problem on your end, keep reading. When you try to access Google Drive, and it doesn't work, you may see an error message. If that does happen, make sure to write the error message down, because it can help put you on the right track. Google Drive error messages aren't always clear, in terms of explaining what the problem is, but they can help you figure out if it's a general outage, or if the problem might be on your end. Temporary Error (502): This message means that your documents are temporarily unavailable, and it usually resolves itself within a few minutes. Wait a couple minutes, and try again. In the future, you may want to synchronize important Google Drive documents to your computer so that you'll always have access. Trying to connect: The most common cause of this issue is a weak internet connection. If you have documents synchronized to your computer, try working in offline mode. Otherwise, check out the "I Think Google Drive Is Down Just for Me! Is There Anything I Can Do?" section below for things you can try out. The Google Drive server encountered an error: This means that your Google Drive app failed to connect to Google's servers, and the problem could be on your end or Google's end. Proceed to the next section for troubleshooting tips. If you try to access Google Drive, and you don't see an error message from Google, that means there is something seriously wrong with their servers or your internet connection. When you don't get any kind of error message at all, or you see an HTTP status code error, the first thing to do is to check and see if you are able to view other websites. If you can, then proceed to the next section for troubleshooting tips. If you don't see a Google Drive error message, but you do see an HTTP status code, that can help put you on the right track. The most common include 500 Internal Server Error, 403 Forbidden, and 404 Not Found, but there are numerous other HTTP status code errors that you may run into. "I Think There's A Google Drive Outage For Everyone! How Can I Be Sure?" When you suspect that there may be a problem with Google Drive, and that the issue isn't on your end, there are a number of ways to confirm that suspicion. If you are able to confirm that Google Drive is down for everyone, then you can save yourself a lot of time and headache, since the only solution is to wait for Google to fix the problem. Check the G Suite Status Dashboard for information about issues or downtime that Google Drive, and other Google services, may be experiencing. If the G Suite Dashboard shows an issue with Google Drive, that means it's down, and you'll have to wait for Google to fix it. Keep in mind that the G Suite Dashboard is hosted by Google, so if Google is experiencing especially bad problems, it might not be available either. Search Twitter for #googledrivedown. Social media is a good place to find out if a website or service is down for other people. If other people are experiencing the same problem you are, there's a good chance that you'll find them talking about it on Twitter using this hashtag. Finally, you can check out some third party down detector websites. Some status checker websites include Down For Everyone or Just Me, Down Detector, Is it Down Right Now?, Outage.Report, and CurrentlyDown.com. "I Think Google Drive Is Down Just for Me! Is There Anything I Can Do?" If you aren't able to find any evidence that other people are having trouble accessing Google Drive, then there's a good chance that the problem is on your end. Most of these problems are related to your network hardware or your internet service provider (ISP), but there are a number of things you can check yourself. Make sure that you're visiting the real drive.google.com site. Before you try anything else, go ahead and try clicking the above link to Google Drive. If it works, that means you might have been trying to access an invalid or illegitimate copy of Drive. 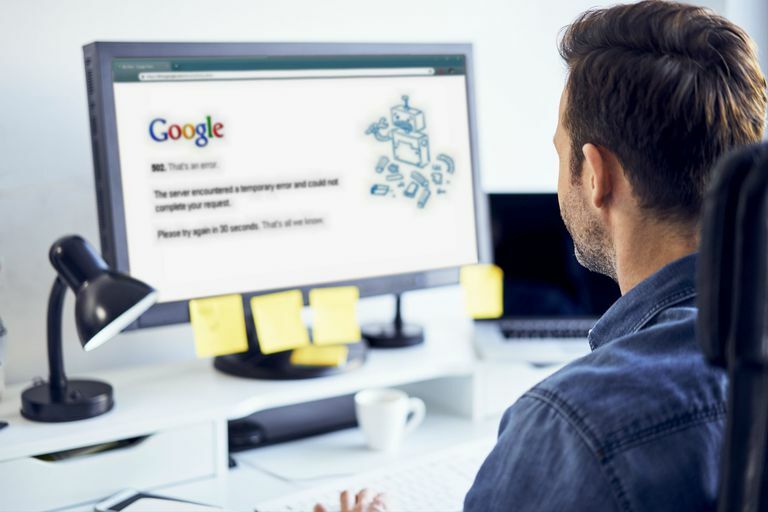 Update your bookmarks, and consider changing your Google password if you think you might have entered you login information into a fake site at any point. If you're trying to access Google Drive on your phone or tablet, make sure you have the legitimate app from Google. You can find the Google Drive app for iOS on the App Store, and for Android devices on Google Play. Are you trying to use Google Drive through a web browser on your computer? Try the Google Drive app on your phone or tablet. You can find the official apps by using the links provided in the previous step. If you're able to access Google Drive through an app on your phone or tablet, that means the Google Drive service itself is working. The following troubleshooting steps may help you get Google Drive working on your computer again. Completely shut down your web browser by closing every browser window that you have open. Wait 30 seconds, open a single browser window, and attempt to access Google Drive. In some cases, closing your browser windows may not actually shut the browser down. In that case, restarting your computer or device is the easiest way to make sure that the browser actually closes. Clear your browser cache, and attempt to access Google Drive again. This is an easy step that won't delete any of your personal data or stored passwords, and it fixes a lot of browser-related issues. Clear your browser's cookies. This is also an easy step that can fix a lot of browser-related problems, but clearing cookies can remove your custom settings and login information on websites that you use. Scan your computer for malware. Some malware effectively blocks access to specific websites and services like Google Drive. If you're infected, then removing the malware will restore your access. Restart your computer, if you didn't already do so during an earlier step. Restart your modem and router. If you're having trouble accessing other sites and services in addition to Google Drive, this will typically fix the problem. If you still aren't able to access Google Drive after attempting all of our suggestions, there's a good chance that you're dealing with an internet problem. This is especially likely if there are other sites or services that you aren't able to access. In some cases, the issue could be as simple as having too many devices connected to your network, and not having enough bandwidth to handle everything. However, you will probably have to contact your ISP for help. While it isn't especially common, there are cases where you won't be able to access Google Drive due to problems with the path your computer or device uses to connect to Google's servers. The best way to rule that out is to switch to different DNS servers from the ones you normally use. If you are unfamiliar with DNS servers, check out our guide to changing DNS servers for instructions, and our list of Free & Public DNS Servers for different options to try.